Despite recent setbacks there is still a genuine buzz about the young super-talented Welsh four-piece Pretty Vicious from Merthyr Tydfil in South Wales. 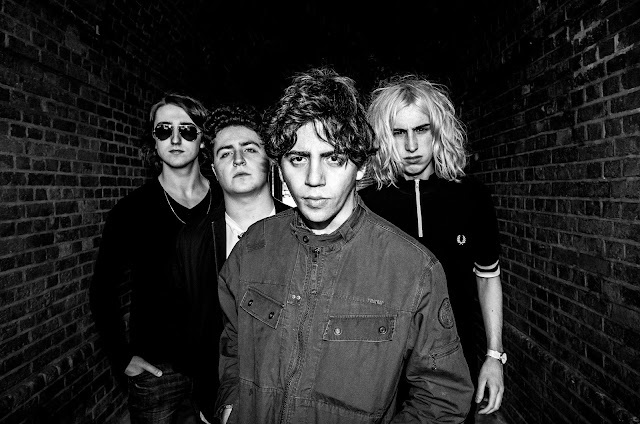 Bands of the same level of ability and drive do not come along often, and there is little doubt this works in the teenagers' favour, opening doors and winning fans around the UK and internationally. The band's brand-new release These Four Walls signifies the beginning of a new phase in their career and the prospect of there being lots more new material to come in the near future is exciting. Having always been a firm, or rather stubborn, fan of guitar bands from the north of England and Scotland, it is re-assuring to have a fresh focus and admiration steered in the direction of Pretty Vicious’ heavy but energising, mega-tight and explosive, 90s-fused indie rock. Following the successful completion of their recent UK tour, they have returned to Monnow Valley Studio in Rockfield, Wales, where they are busy recording their EP with producer Dan Austin, whose engineering, programming, mixing and producer credits include Doves, Starsailor, The Coral and Massive Attack. Singer and guitarist Brad Griffiths, bassist Jarvis Morgan, drummer Elliot Jones and guitarist Tom McCarthy really enjoyed touring again and are equally excited about returning to the studio to record their new material. Elliot: Finding the right producer where it just clicks has not been easy. We have worked with some really good producers in the past, but so far it has not really clicked. We have now begun working with Dan Austin and so far it looks really promising, so hopefully it will work out. The sooner things work out, the sooner the debut album will be out. Pretty Vicious are no strangers to collaborating with acclaimed producers having previously worked with fellow Welshman Owen Morris, the British producer legend behind album masterpieces such as Oasis’ Definitely Maybe, (What’s the Story) Morning Glory? and The Verve’s A Northern Soul. With new material written, ready to be recorded and released, the band members are well-organised and in a strong position. Brad: It is going to be really exciting. We have a sound that really works, we are determined to do things properly with this new EP and then go on and develop from there. Brad: This EP is going to be new and different. If you take something like These Four Walls, it all just fits in really well together. It will be a great package, and it will be a very nice thing for fans to have, our fans won’t be let down. The songs are really good. The band are keen for things to happen on their terms and they want to be more ‘in charge’ of events. Although they do not have a record deal at the present moment, there is little doubt they will get the appropriate deal in place and the right record label on board just in time as they finish recording. 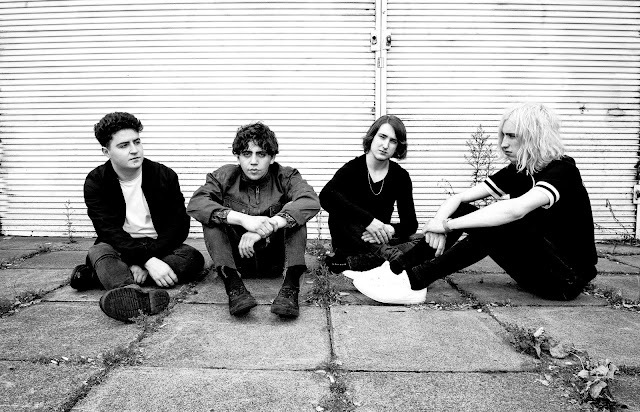 The new EP is to be followed by their eagerly-awaited debut album. This new beginning and fresh optimism comes after something of a false start. In January 2015 the four members found themselves caught up in a fiercely competitive record company bidding war after they had played a gig attended by the music industry at The Redhouse in Merthyr where several record labels competed for their signatures. At the time the band opted for Virgin EMI, but in June of this year they parted ways. Reflecting on the experience, the band now stress how important it is for them to be in control of their musical direction and how they want to do things. With a musical heritage and tradition as rich as Wales’ it is no wonder that it can foster talent such as Pretty Vicious. Indeed, following in the tradition of other great Welsh bands such as Stereophonics, Super Furry Animals and Manic Street Preachers, the four teenagers have already enjoyed the endorsement of Nicky Wire and have also played support slots for not only his band, but also Noel Gallagher (twice), The Vaccines and The Courteeners as well as being offered a support slot for Muse. They very much enjoyed supporting and meeting Manic Street Preachers. Jarvis: Manic Street Preachers are really nice people. They came in and thanked us after supporting them when we should probably have been thanking them too. The four band members all still live in and around Methyr Tydfil where they find themselves 'within just 10 minutes of each other'. Living within such close vicinity and being friends are factors which make a difference and influence them musically. The local connection makes it easy to meet up and rehearse daily for as long as it takes - anything between three to six hours and more if required. The strong friendship creates a sense of togetherness as a band and as friends. Brad: We share our music and we chat about it. We all just concentrate on each other, write songs and music together. At times we wind each other up. You can always tell straight away if or when something is wrong, it is a brotherly thing. The fact that the Welsh four-piece has only been together since March 2014 is barely noticeable, they just sound so fully formed and together, producing sounds tighter than a lot of older and more experienced bands. What may seem like traditional ‘old-school’ values like discipline and hard work are honoured and placed right at the heart of everything Pretty Vicious get up to, be it working on a studio recording, attending rehearsals or playing live. Being Welsh definitely plays a part in making them stand out from the rest, it helps keeping things authentic and true. Their tune Cave Song has a strong local connection, not just to Wales, but to Merthyr Tydfil, it refers to a place where they used to hang out and drink together. They have already toured Europe and they were flown out to Japan to play at Tokyo’s Club Quattro. That was pretty exciting and they would all love to go back. Tom: We definitely love Japan. The fans there were absolutely amazing and they made us feel like The Beatles. Playing live is absolute key for them. They have already established an enviable reputation as one of the best young live bands around and built a strong following of die-hard fans and supporters around the UK and further afield. There is a sense that they would not be half as good if they had packed their bags and moved to London like some bands choose to do. There can be too much distraction around the UK capital, making it easy to lose any sense of ethos, identity and focus. Pretty Vicious prefer to hold onto their classic rock and roll influences and focus on the job in hand. There seems to be an acute underlying ‘we take no nonsense from anyone’ attitude firmly in place, which is destined to help rather than hinder them. But it is not because they want to distance themselves from other bands, it is more a reflection of the current guitar music climate. Elliot: It has become too tough for a lot of bands to make a living from making music these days. Unless you are funded by a major label or you are very wealthy. It is so expensive to find a place to rehearse and record and be able to buy gear if you are not signed. There is not always money for the people who actually have good ideas and they get a bit stuck and are prevented from making music. Tom: I think that is partly why grime has become so big. It is cheap to make music that way, put some beats together and stuff. We are an actual band making rock music which means a lot more money and time is required. You need a wider network of people and be able to fund gear. Apart from their current recording commitments, the band's next live outing is as the main support for Dundonian four-piece The View's sold-out show in Glasgow on the 29th November. 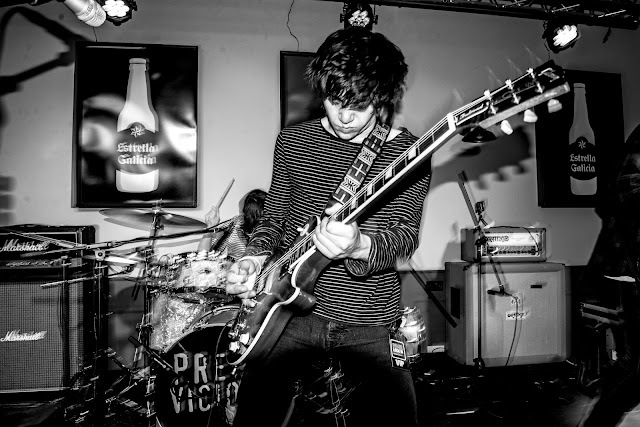 Pretty Vicious is definitely a band who is here to stay and there is such an appetite surrounding them and their music. Elliot: Now it is just a case of getting the studio work done. That is the next step for us, get the record ready and then tour it. It is nice for a band to have a least one proper release a year, so we are going to get on with that. Get to release as much as possible now that we have been given the opportunity. Tom: We have made it this far so we must be doing something right. It is refreshing for today’s guitar music scene to have Pretty Vicious breathing new life into it with their aptitude, energy and drive.